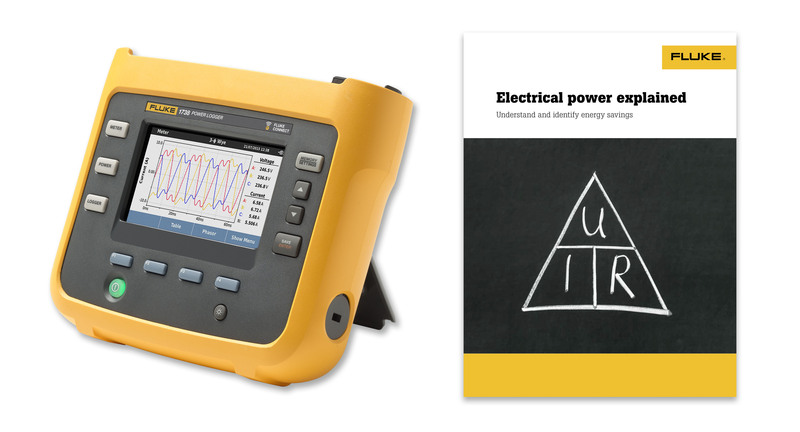 Until June 30, 2019 and while stocks last at authorised distributors, Fluke is offering its 1738 Three-Phase Power Logger with Fluke Connect as a Gold package. Ideal for maintenance managers and industrial electricians, electrical contractors and energy consultants, the Gold packages are offered at lower recommended prices than the standard product and include free accessories, and a free, unique offline training program. Potential purchasers who have a suitable application can obtain more information about the package offer and its benefits by visiting www.fluke.co.uk/gold. The Fluke 1738 features an optimised user interface, flexible current probes, and an intelligent measurement verification function designed to reduce measurement errors by digitally verifying and correcting common connection errors. Set-up can be further simplified by powering the logger directly from the measured circuit. All three phases and neutral can be measured using the four flexible current probes. More than 20 separate logging sessions can be stored on the instrument. All measured values are automatically logged so that measurement trends are not lost: they can be reviewed during logging sessions, and before downloading, for on-the-go analysis. The bright, colour touchscreen enables convenient in-the-field analysis and data checks with full graphical displays. The instruments provide event waveform snapshots, along with date and timestamp, to capture dips and swells and help pinpoint root causes of power quality issues. They both have 600V CAT IV / 1000V CAT III safety ratings. For more information about all Fluke products, visit the Fluke website at www.fluke.co.uk.